The benefits of apple cider vinegar for horses and humans have been touted for many years in the natural health circles. You can find organic apple cider vinegar in the health food and supplement sections of the grocery store and at the local health food stores. The health claims are many: promote healthy joints, an anti-inflammatory for arthritis, a detoxifier, an aide for digestion and gastric upset, and antibacterial properties just to name a few. But the one that interested me most was its use in the reduction of calcium deposits. I had heard many of the claims over the years from friends who use it for themselves, but hand not really heard much about its use in horses until a few years ago. Very recently, I had cause to test these claims myself firsthand on my own horse and wanted to share our results with you. My Quarter Horse gelding, Spirit, was diagnosed with sesamoiditis in the early summer of 2010, but probably had the condition for 2 years prior to his diagnosis. For several years I had noticed palpable scar tissue just above the right lateral sesamoid bone and he would occasionally get some mild swelling along with some mild localized heat. He would just seem off on that leg now and again at the walk and trot, but nothing very consistent that I could show the vet. He would seem to be OK when I would take him for the vet to look at and since he wasn't in training at the time, it was felt that whatever it was would clear up on its own since the lameness exams weren't showing anything conclusive. In May 2010 Spirit came home from several months at the trainer and I noticed the intermittent lameness seemed to be getting more consistent and even my daughter (14-years-old at the time) noticed that he was limping slightly at the trot. I took him back to the vet and asked for x-rays of the sesamoid on the right front. 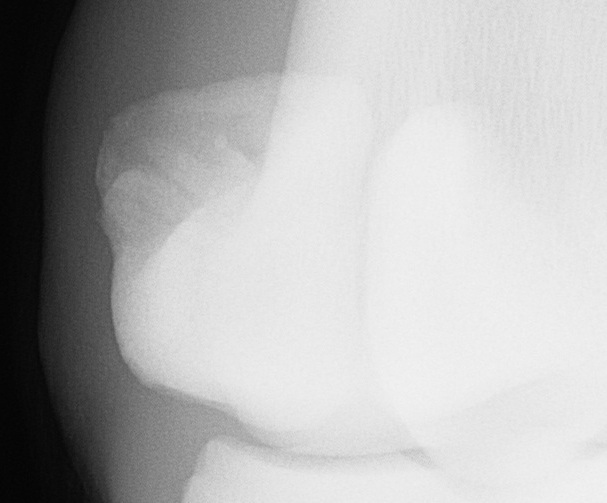 Radiographs revealed calcium deposits on his right lateral sesamoid, and the vet could see that he was intermittently lame at the walk and a little more consistently lame at the trot during the lameness exam. I had two choices at this point. 1) Put him on pasture rest for about 9 months, or 2) Have shock wave therapy done and put him on stall rest during the course of the therapy. Since I had just spent most of my extra money on sending him to the trainer, the shock wave therapy was not an option for us, not to mention I didn't at the time really have a way to put him on stall rest at home. He's not the type of horse that would handle 24-hour confinement well while his herd was out in the back of the pasture having fun. So I opted for the pasture rest and Spirit became a spoiled pasture ornament until the following year. After approximately 9 months of pasture rest, Spirit's symptoms appeared to have subsided and he was deemed ready to go back into training. We started riding him again and he was holding up very well to training at the walk, trot and light canter 3 to 4 days a week. But then in mid-November of 2011, the trainer thought he was ready for heavier cantering and really cantered the dickens off of him one day without his fetlock support on. Needless to say, he was lamer than ever the next day. After a month it was obvious that the sesamoiditis had flared up again in full force and I decided to pull him from training again and rest him indefinitely. For more information on what sesamoiditis is, its symptoms and conventional treatment options, this article about sesamoiditis by EquiMed may be helpful. 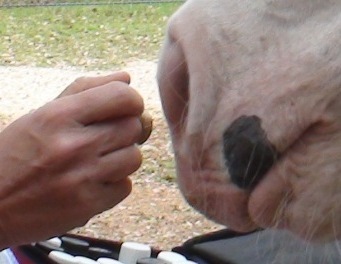 In January of 2012, I brought in a natural barefoot trimmer to help with a chronic crack in Spirit's hoof. We spoke about his issues with chronic sesamoiditis and she suggested the organic apple cider vinegar for Spirit. She felt that it would help to acidify his system and which might aide in the reduction of the calcium deposits on the affected sesamoid. I was willing to give it a try, as he wasn't showing any improvement with the lameness after nearly 2 months of pasture rest. I certainly didn't feel like it could hurt anything. She had been giving it to her horses for arthritis and felt it really helped them. I couldn't imagine that a horse would like the vinegary flavor, but she assured me that all her horses loved it. Started Spirit on organic apple cider vinegar at a dose of 2 oz. twice per day as a top-dress on his feed. I offered it to him straight at first and he tasted of it. He licked and smacked as expected and didn't want to try it straight again that day. However, it was no problem getting him to eat it on his pellets. Spirit really likes the apple cider vinegar and will lap it up straight out of the scoop if he's offered it. I'm not sure why he would find it tasty since it's really not sweet, nor does it taste anything like apples! But I'm thankful that he seems to like it. No noticeable change in his level of pain. He still has a very mild favoring at the walk, and a noticeable favoring at the trot. He canters and gallops around the pasture though as usual, so must not be in too bad of shape. I've been noticing that Spirit has not been favoring his leg so much the last few days. It's barely noticeable at the walk and slightly noticeable at the trot. This is about the same level of pain that he was at after approximately 9 months of pasture rest after his last bout with the sesamoiditis. It has been only about 3 months at this point since he started the flare-up and has been on pasture rest. He's been extremely active as well. Even when I took his mare away for an outing and he paced and ran the fence line for hours, he didn't appear very sore at all. I took Spirit in to have the sesamoid x-rayed to see if there was any worsening of his condition since the recurrence of his symptoms in early November 2011. Despite the horrible footing from having nearly 12 inches of rain in the last 10 days, he's been showing no evidence of favoring the right front leg at either the walk or trot for several weeks now. 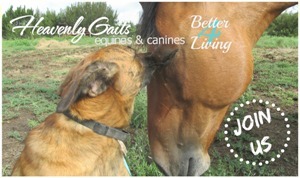 He even canters and gallops regularly out in the pasture on either lead without any problems. The vet conducted a thorough physical exam of the leg and watched him trot back and forth a couple of times. He did a flex test and trotted him off with no signs of lameness in the leg. The x-ray showed no worsening of the condition at all over the last 1-1/2 years and there may even be some smoothing of the outer edges of the calcium deposit. 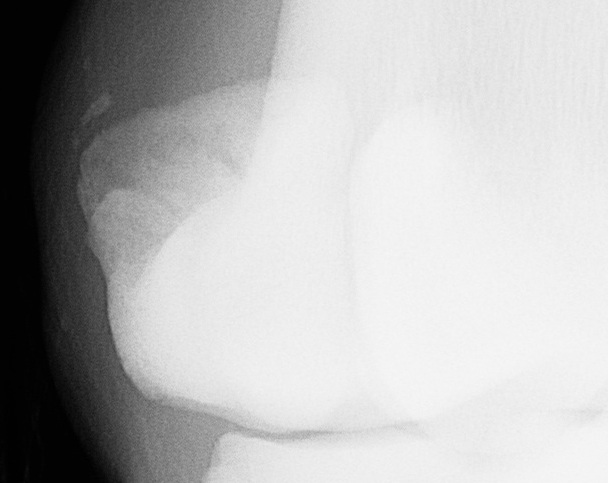 There was a small speck on the x-ray which may have been a small chip fractured off from the calcium deposit. But it was hard to tell since there was a little mud in the hair around the area we x-rayed. We won't know for sure until we do another follow-up x-ray in the upcoming months. Spirit was cleared to go back to light riding and felt he would be fine with walk, trot and light cantering and would be fine for trail riding as long as he stayed in good footing and wore his fetlock support. 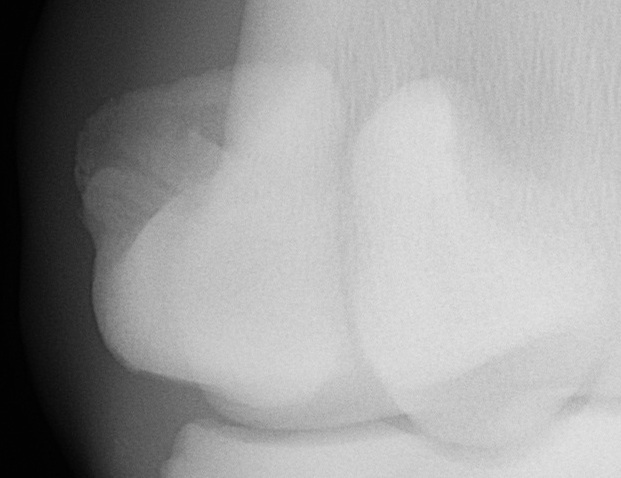 X-ray taken March 23, 2012 – The margins of the calcium deposits in this latest photo above appear slightly less jagged than in the previous x-rays. In conclusion, after only a brief pasture rest of 4 months, Spirit appears back to his normal self. Did the apple cider vinegar play a roll in speeding his recovery time? I cannot say for sure that it did, but I believe that the nearly 1-year recovery period versus the recent 4-month recovery period and the slightly smoother appearance of the calcium deposits on the final x-ray speak for themselves. I will leave the question to the readers to decide for themselves based on the facts presented. All I can say is that Spirit is still getting his apple cider vinegar every day, along with myself and my husband, and he still feels great. I do plan on getting a follow-up x-ray in about 6 months to see if there are any further changes in the calcium deposits and will post an update at that time. Find more comprehensive information about the benefits of apple cider vinegar for horses, see this article: http://equine-natural-health.co.uk/herb-usage3.htm. If you would like to share your experiences with apple cider vinegar, please feel free to leave a comment in the form provided below this article. We'd love to hear from you. I love the ACV and use it a lot. 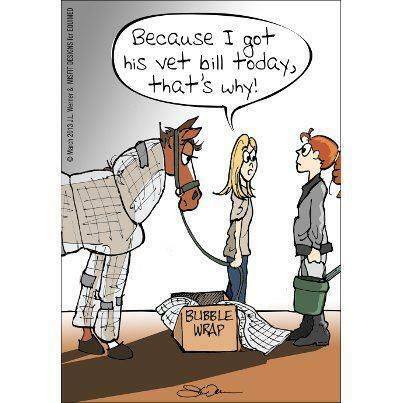 My farrier told me about it a long time ago. Thanks for sharing these ideas to use it! Thanks for commenting MarVeena and sharing. It was also suggested to me to use the apple cider vinegar as an antibacterial/antifungal to aide a chronic crack that Spirit has on the same foot. It definitely has a plethora of uses! I've used ACV for me and for my horses. For me it helped with digestion and energy. I have also given it to my horses and since it helped me with my digestion I'm sure it helped them with their digestion also. My husband and I both use ACV daily for both digestion and for joints. I really think it helps keep me from creaking too much! Equine massage is hard on the my body and it helps to keep my going. This is great info! I just wanted to tell everyone you can also get organic ACV at WALMART! 🙂 I use it as a base for my homemade fly spray. My store has 3 to choose from. You'll save money, I bet! Thank you so much for your answer so fast, Lisa. I hope the ACV could help at least reduce some of deposits. Actually, after reading your story, i have continue searched the articles about the benefits of ACV on the internet. Now i quite sure that there are many advantages of the ACV for horses not only for the calcium deposits. By the way, thanks so much. Hi Lisa, any updates on your geldings condition? Thanks! My mare has soft tissue damage along her loin area, wondering if ACV would help , should it be rubbed on , or taken in feed. ACV is supposed to be helpful for alleviating inflammation within the body and helps to neutralize the uric acid buildup in joints that may lead to things like arthritis and gout. It would be taken internally. 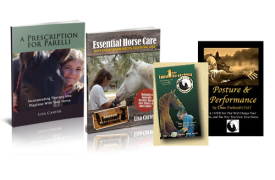 It may be helpful for your mare on the inflammation side of things. You might also look at bodywork (like massage or acupuncture) as well to help with reduction of scar tissue, improve suppleness of the tissues and support the other muscle groups that would be compensating for the imbalance. Do you know a source for large quantities of ACV? I simply own too many horses to buy it commercially in small quantities. Hi Michael. I’m sorry, I sure don’t. I just have my local health food store order it for me by the case. I imagine you can Google it and find a supplier online that will allow you to order it in bulk. Very interesting article. Recently, we were told a place on a horse my daughter owns could possibly be calcium deposit. My daughter purchased the mare in Oct 2013 & did very little riding before daughter got pregnant in March 2014. Since her baby, she's only ridden the mare twice. I work her in the round pen & never notice in lameness what so ever. This is a 13yo barrel horse. When the farrier trims her, he will push on it & she never moves. The mare is for sale & I had taken a picture of the place to send to the lady. If I had known about the ACV I could have been giving to her the whole time. Originally told that the horse got tangled up in a rope & the knot had been there along with a scar on back leg. Maybe starting ACV on her now would help? ACV is always a great supplement to add into any horse’s diet for a multitude of reasons. Not sure that it would help in the issue that you are describing and since the horse isn’t bothered by the spot you mentioned, There are NEVER any guarantees with anything. What works for one horse, may not work for another. If your horse is not lame or bothered by the spot, it’s probably nothing to worry about at this juncture. It could just be some scar tissue that has developed in that spot as well. Only an x-ray could tell you for sure. It certainly won’t hurt anything though.